A simple yet elegant double sided fireplace, the 840T gives a two sided view allowing the flames to be enjoyed from both sides. 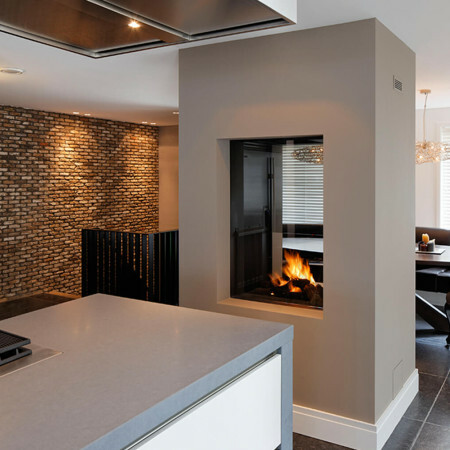 Ideal for creating a cosy feature in between two separate rooms or for forming a feature to separate a large open space, the beauty of a double sided fireplace such as this is that it maintains a visual and light connection between the two areas. 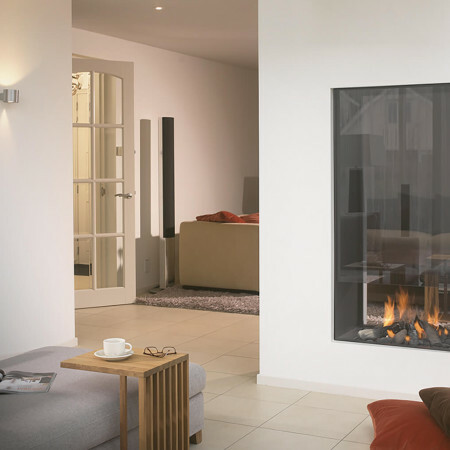 Whether you prefer the traditional wood fire or the convenience of a realistic gas fire, a double sided fireplace such as this can be installed to replace an existing fireplace or equally installed from new.